The Penn State Scientific Diving Program is an administrative unit functioning under the Office for Research Protections. The Program supervises all compressed gas diving for scientific and educational purposes under Penn State policy RP-09 - Scientific Diving at Penn State. The Program is administered by a Diving Control Board and the operations of the program are defined by a set of Dive Standards. Solely recreational diving operates under the student organization -- Nittany Divers -- and Penn State Adventure Recreation, and adheres to an independent Standard Operating Procedure. Recreational dive courses are also available for credit through the Department of Kinesiology. The Penn State Scientific Diving Program is an Organizational Member of the American Academy of Underwater Scientific (AAUS). The Dive Control Board or its delegate, the Dive Saftey Officer, must approve all scientific diving conducted by Penn State researchers, staff, and students. 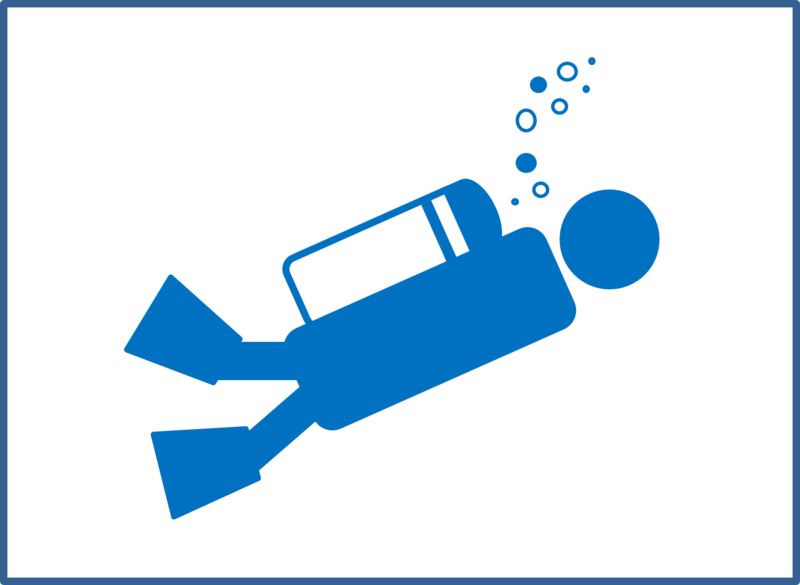 No scientific diving should be conducted unless the dive safety plan has been approved. Before submitting your plan for approval, please see the Penn State manual of Standards for Scientific Diving. You can can submit your dive safety plan for review by completing the application here: https://psu.box.com/v/SciDivePlan. Before you apply for entry into the scientific diver program at Penn State, please review our process to become a certified scientific diver. Participation in the Penn State Scientific Diving Program is by application only. The application process includes a signed waiver of liability and requires a medical exam. Medical exams are also required at periodic intervals in order to maintain active diving status. A Dive Medical History Form must be completed each year and submitted to the Scientific Diving Program. A link to the application package is available here: https://psu.box.com/v/SciDiveApplication. Participants are also required to submit a log of each dive. The web form can be found here: http://psu.diveaaus.com/User/User_Login.asp. Learn more about a number of student opportunities for those interested in scientific diving: https://www.research.psu.edu/scidive/students. Read about some of our student success stories. See videos of Penn State scientific divers in action across the globe! Visit https://www.research.psu.edu/scidive/videos.